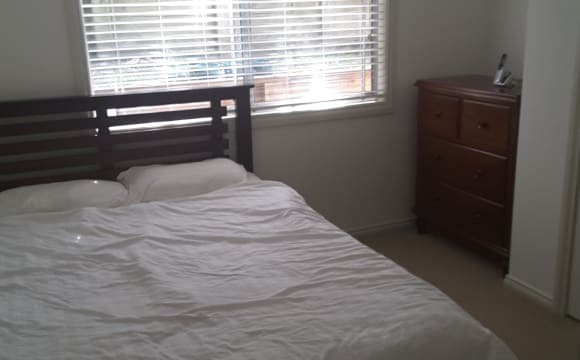 Room for rent is furnished with a double bed and a built in robe. Smokers allowed but outside in the courtyard . 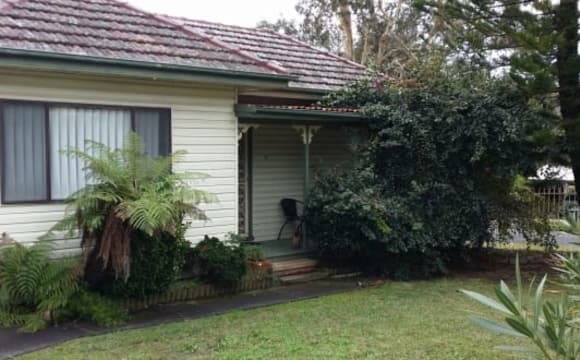 House is literally across the road from Erina Fair, a 2 min walk. TV in lounge room has netflix, Stan and we have NBN onsite. Conveniently located smack in the middle of the beach and local shopping. Pool catches the afternoon sun. And a house with a family vibe. 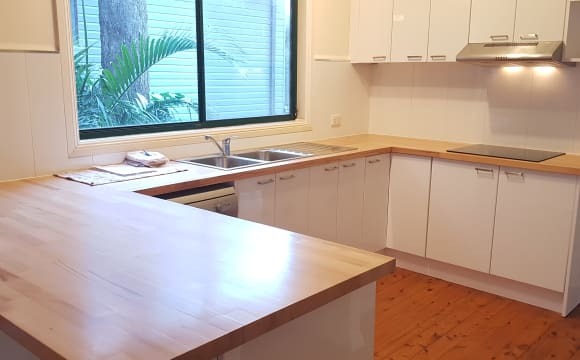 🏠Private Room in Terrigal House - Own En-Suite and Built-In robe (All Bills included)🏡 ✅ Large Fully Furnished/Unfurnished Room 🛏 with own En-Suite 🛁 ✅ Fully Equipped Shared Kitchen 🍽 with microwave, fridge, electric kettle, cooktop, kitchen appliances, cutlery etc. ✅ Combustion fireplace, air conditioning ✅ Fully Serviced Common Areas and Garden ✅ Single - $250/week, Couple - $280/week 👫 Where will you be? 🏡Location! 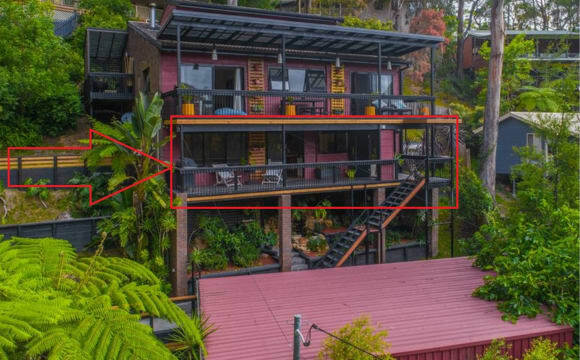 🏡Location!` ❗ Charles Kay Dr Terrigal ❗ Bus at the door ❗ 17 min by bus to Gosford Train Station 🚃, Gosford CBD ❗ 7 min by bus to Erina Fair Shopping Centre (Wollworths, Coles, Aldi, cinemas, cafes ☕ and restaurants 🍽). ❗ 20 min drive to M1 We sometimes enjoy a drink together 🍷 however this is NOT a party house ❌ and we are very respectful and keep noise to a minimum ✅ Minimum rental term - 3 months Sorry, No pets. Looking for a female flat mate . Clean very light and airy townhouse . Good sized 3 bedroom 2 lounge 2 toilets cute balcony. 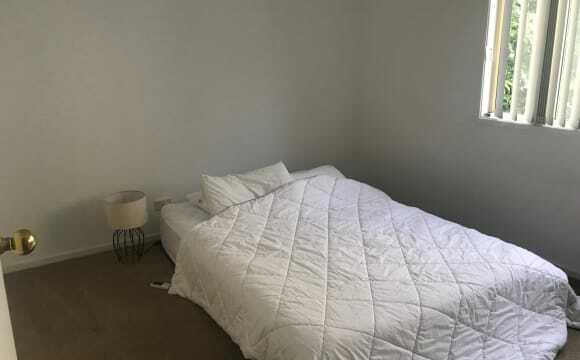 Fully furnished great sized room with built ins and ceiling fan. 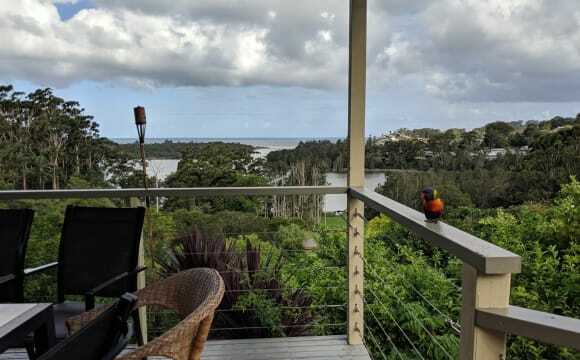 1 min walk to bus stop 2 min walk to beach/ lagoon 5 min walk to cafe 5 min drive to Erina Fair Electricity ,Unlimited NBN, Netflix ,Fetch TV and water included in rent. My home is located in a quiet cul-de-sac amongst the trees and only a couple of minutes walk to the lake. 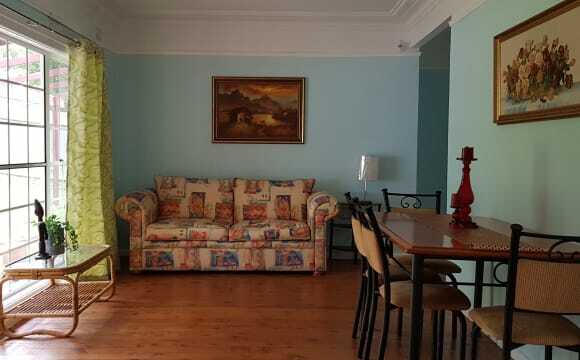 Its about 20 minutes to walk to the beach or a 5 minute drive to North Avoca beach. I have a unique situation where I am unable to be there through the week due to work. So will only be there some weekends. That leaves you the house to yourself through the week. There would only be the odd occasion where I would need to stay mid week. I am after someone who will look after my home like it is their own. I have a partner who will stay with me the weekends that I am there and we will have our own separate area and bathroom. 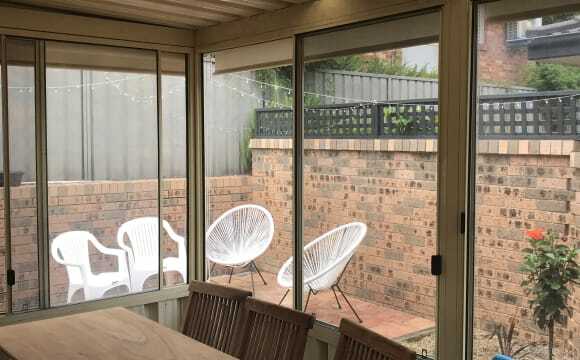 However, we will share the common areas with you (ie; kitchen) There is a large veranda out the front and a smaller one out the back. I have 3 bedrooms on one level with the bathroom (shown on the photos) I am happy to rent out one room (or) possibly two. But I will keep the 3rd free. The bathroom would be yours depending on if there are two (then you would share). The toilet is separate and both bathroom and toilet are newly renovated. I have new carpet throughout the house and a brand new kitchen and wood fireplace. 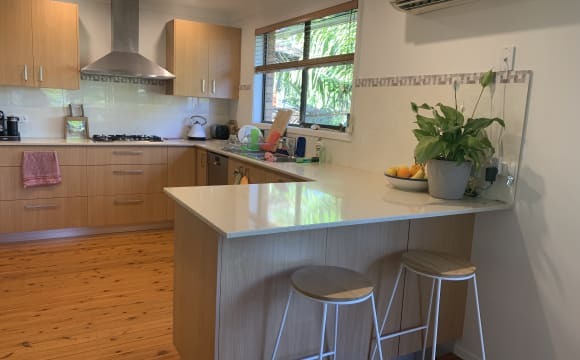 Four bedroom home is located about 2km from Terrigal and North Avoca Beach. Approximately 20 minute walk. Perfect location for that optimal work-life balance of being close to the beach but not paying a fortune and still get to live in a beautiful home. 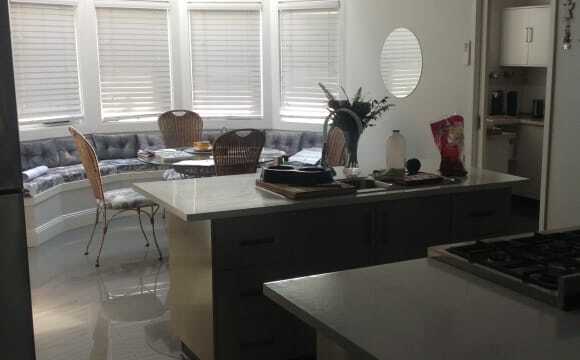 The house has floorboards throughout and a spacious lounge/dining room that flows onto a modern kitchen with Caesar stone benches, dishwasher and extra-large gas cooktop. 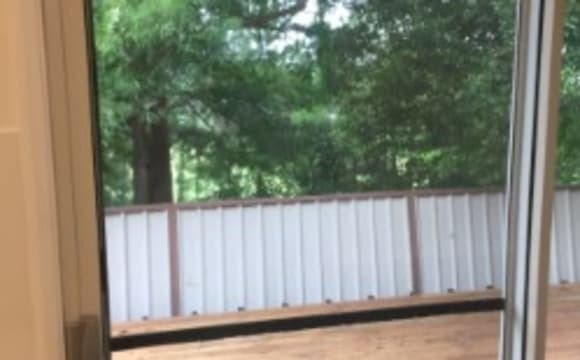 Back deck with off street parking and ample storage throughout. Fast NBN internet. One room upstairs is for SHORT TERM rent from a week up to about 6 weeks. Very spacious with a built in robe and could easily fit a desk it if needed. Optional to have this room unfurnished or furnished with the basics. This is our spare bedroom that doesn’t get much use so is up for short term rent. If you are a backpacker, student coming to the coast to do a prac or just need a place short term while you find a more permanent spot we would love to hear from you. Hit me up with any questions! Sorry no pets. Needing a housemate to move in ASAP! House is fully furnished with Garage and lots of storage space and Unlimited wifi. Living with 1 female and 1 male. Upfront bond required. We're just a couple of hundred meters from Terrigal Beach and it's wonderful shops and cafes. If that's too far too walk in summer, just pop down the steps to our swimming pool or soak up some sun on the balcony. Large living areas are also great and provide spacious living conditions. The unit has everything you'll need but the bedroom is unfurnished. 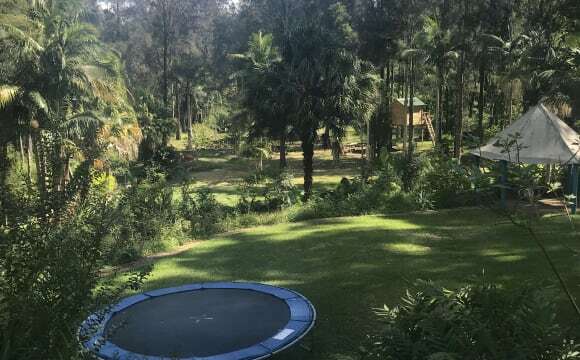 Includes off street parking, lush views of the bush and a peaceful environment. Internal washer and dryer. 2 bedroom small house located two blocks from beach in quiet street. Close to all amenities and transport. Room for rent has own bathroom not shared. Newly updated kitchen recently installed. Free Internet. Your own Complete Furnished Private Level, Bedroom, Kitchen, Bathroom Laundry, Parking, no shared areas required. Located at the end of Glennie St North Gosford, on the edge of the bush reserve (nice and quiet, not very busy, good for bushwalking). 1. Separated living area bottom section of house, lockable and private. 2. 1 Bedroom (I don't know why it says 2, and I can't change it to 1) 3. Wardrobe 4. Bathroom 5. Laundry 6. Kitchen 7. Balcony 8. Parking 9. Furniture 10. Some Storage area 11. 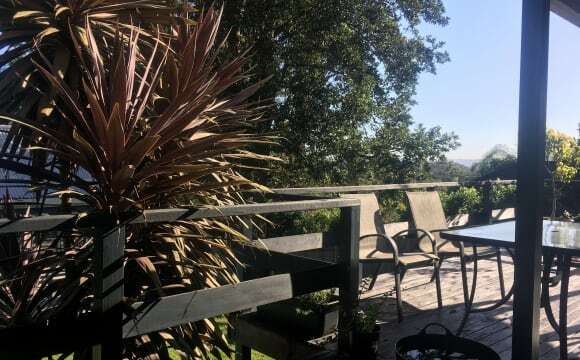 Nature Included, and so long as it is not excessive: - Internet - Water - Electricity The stay is from 1 month to 6 months, as I haven't shared the house before, and want to make sure that all goes smooth first, with view to go long term. I am only looking to have 1 flatmate, which would be YOU, and other than me, there is no one else planned at this stage. - Smoking is OK, but either outside, and probably away from the house. - Visitors are OK, just not to heavy. - An animal may be OK, it would just have to get along ok with mine. - Reference, facebook background, police check would be greatly appreciated. Private and surrounded by trees with a great outlook and view. Off the road parking, bus in the street. 5 mins from beach. Front and rear balconies, Internet included. Quiet and peaceful home. Your bedroom and bathroom are on a seperate floor. The bedroom is huge. It’s a beautiful quiet property that promotes peace and tranquility. It has many outdoor spaces to take in the expansive outlook over the Brisbane waters.